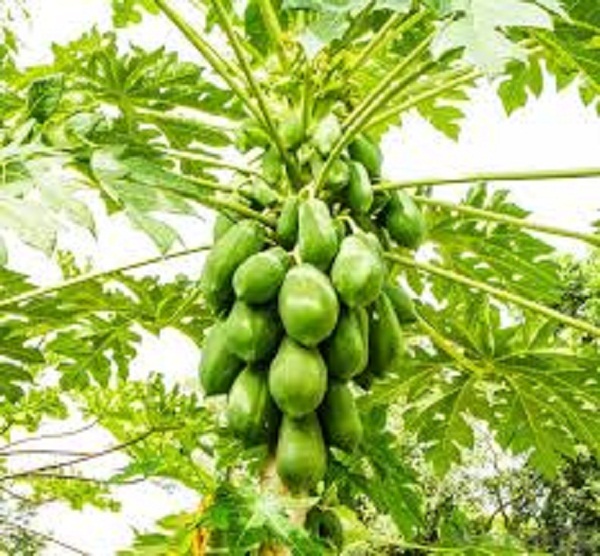 Papaya is now grown in several countries including India, Malaysia and Philippines. It is no wonder the papaya was reputably called the “fruit of the angels” by Christopher Columbus. Papayas offer not only the luscious taste and sunlit color of the tropics, but are rich sources of antioxidant nutrients such as carotenes, vitamin C and flavonoids; the B vitamins, folate and pantothenic acid; and the minerals, potassium, copper, and magnesium; and fiber. It is one of the popular fruits as it is rich in medicinal value and nutritive properties. It contains vitamins and mineral required for normal body functioning. This orange colored fruit is delicious and can be eaten as it is or in the form of juice, milkshake or smoothie. Raw papaya is used in India as a vegetable. it is not just flavorsome but also has many health benefits. Here are some health benefits of papaya. Papayas are an excellent source of the powerful antioxidants vitamin C and vitamin A. These nutrients help prevent the oxidation of cholesterol. When cholesterol becomes oxidized is it able to stick to and build up in blood vessel walls, forming dangerous plaques that can eventually cause heart attacks or strokes. Papayas are also a good source of fiber, which has been shown to lower high cholesterol levels. The fruit, as well as the other parts of the papaya tree, contain papain, an enzyme, which plays a vital role in the digestion of proteins in the body. This enzyme is especially concentrated in the fruit when it is unripe. Papain is extracted to make digestive enzyme dietary supplements and is also used as an ingredient in some chewing gums. 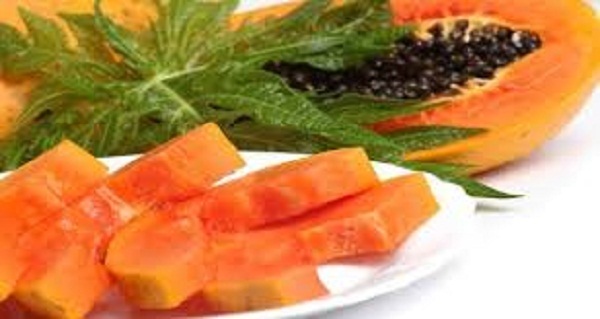 Papaya is one of the best home remedies to treat irritable bowel syndrome and constipation. Papaya contains carotenoid, an antioxidant that neutralizes the free radicals. Free radicals are molecule produced during the metabolism but too many of them can result in disease. Papaya is one of the best sources of carotenoid. The antioxidants present in dried papaya help to strengthen immunity and eliminate free radicals that are hazardous to your health. This fruit contains more amount of beta-carotene than in carrots. Research shows that papaya contains lycopene, which can lower the risk of cancer. It is believed that papaya helps in fighting cancer as it has the ability to neutralize free radicals. Papaya’s fiber is able to bind to cancer-causing toxins in the colon and keep them away from the healthy colon cells. In addition, papaya’s folate, vitamin C, beta-carotene, and vitamin E have each been associated with a reduced risk of colon cancer. Increasing your intake of these nutrients by enjoying papaya is an especially good idea for individuals at risk of colon cancer. The fruit is also beneficial for those who are undergoing a treatment for cancer. Research have shown that the consumption of raw papaya could help maintain blood sugar level and cholesterol because of the high fiber content, thereby keeping a check on diabetes. In some parts of India, especially the North East, papaya flowers are locally used as a preventive measure against diabetes. Papaya leaves are commonly used in the treatment of dengue to help boost up the count of platelets. Dengue is an infection which affects the blood platelets massively. A simple remedy to get back the platelets count is to give the patient a glass of papaya leaf juice. It is prepared by grinding the leaves with a small amount of water to extract the juice. However, dengue can prove to be fatal once it develops into Dengue Hemorrhagic Fever which shuts down the circulatory system. 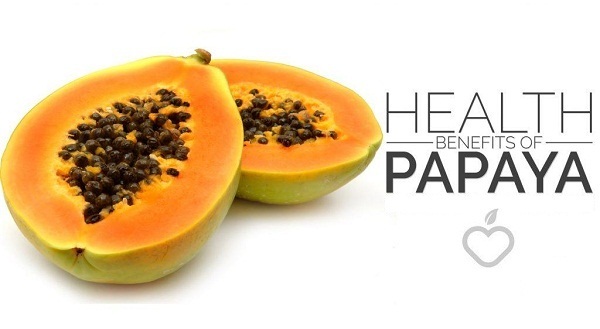 Papaya helps indigestion and improves in the bowel movement, which helps in passing stool easily. The fruit contains vitamin C, folate and vitamin E, which creates and tonic effect in the tummy and reduces motion sickness. 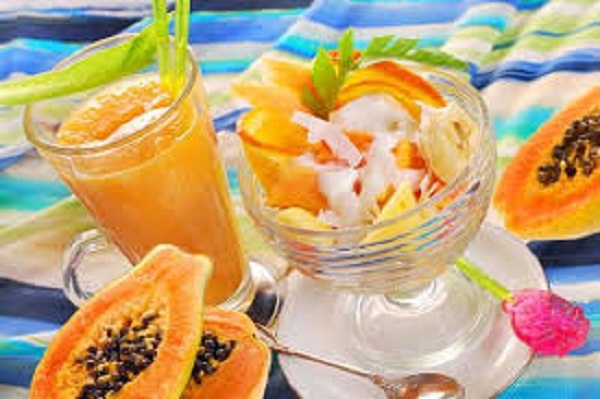 Drinking papaya juice can help normalize the irregular period. You can also drink the juice of raw papaya for irregular menstrual cycle. Papaya produces heat in the body and stimulates the hormone estrogen, which induces periods. Papaya is among the best home remedies for tooth aches. Make a paste of papaya roots and massage onto the gums and teeth ad get relief from toothache. You can also use the inner bark for this. Papaya helps in removing the bacteria from the tooth and aids in the healing process. Papaya fights many fungal infection and kills intestinal worms, which causes many infections and complications. Papaya contains several unique protein-digesting including enzymes papain and chymopapain. These enzymes have been shown to help lower inflammation and to improve healing from burns. In addition, the antioxidant nutrients found in papaya, including vitamin C and beta-carotene, are also very good at reducing inflammation. Many diseases are caused due to chronic inflammation and eating papaya will fight this inflammation. Papaya is very effective in treating many skin disorders. It can be used to treat acne. All you have to do is apply the fleshy part of the papaya skin on the affected area of your body. Eating the fruit will also make the skin clear. You can also obtain latex from papaya and apply it on the burnt area to reduce the marks. Eating a papaya daily will prolong the process and may make you look younger than you are. Papaya is rich in vitamin C, vitamin E and antioxidants like beta-carotene which helps prevent your skin from free radical damage keeping wrinkles and other signs of ageing at bay. One medium sized papaya contains just 120 calories. So, if you’re planning to lose weight, don’t forget to add this light fruit to your diet. Besides, it also packed with a considerable amount of dietary fibre that aids weight loss by promoting a feeling of fullness and controlling hunger. Papaya makes your skin youthful and healthy. The antioxidants present in the fruit is responsible for neutralize the excessive free radicals, which cause skin damage, sagging and wrinkles. Rich in lycopene and vitamin C, papaya also helps in reducing the sign of aging. Previous PostPrevious What makes a good employee quit?